It’s rare to find something so unique that you can’t stop telling everyone you know about it. It’s a gift from the sun that gives something special to those who experience it. Soothing or spritely, they give pleasure to inner spaces, literally and figuratively. Your customers will experience this and spread the word, and return and return. What is it? It’s a line of solar powered, decorative and innovative gift ware. Light powers the sweet chiming, the gentle twirl of colors in the mobiles; and virtually all of the engaging movement within each piece. A special place and sound is created for one’s indoor sanctuary. The flagship designs are indoor solar "wind chimes” for the table top and for display on the window.They play softly year round. We say solar "wind chimes" because that’s what you know. 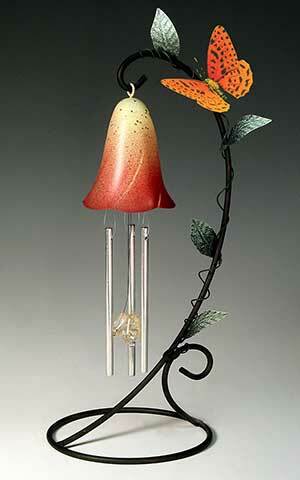 Never before have there been indoor chimes that work without wind, batteries, or electricity. Not just technical marvels, they feature a number of creative designs from which to choose. Innovation and design has the been motto for Sunblossom, since being established in 2000 by business partners, Bonnie Greenwald and Jon Tury. They met as functional potters, exhibiting and selling their work in retail art fairs across the country (while at the same time raising families.) Jon retired in 2012. Bonnie continues the passion for design and pleasure for her customers. Green. 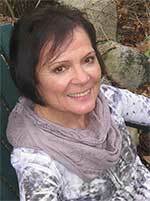 Additionally she is an avid proponent of earth-friendly practices. The design and assembly of solar powered decor is complimented by company-wide recycling and reusing. She has built Sunblossom into an award winning company for both its earth friendly products and practices. She invites you to become a partner in those goals. Technically speaking, a solar photo voltaic cell, similar to the one powering a calculator, collects light from any source. Light is then converted into electricity which energizes the movement of all Sunblossom products. 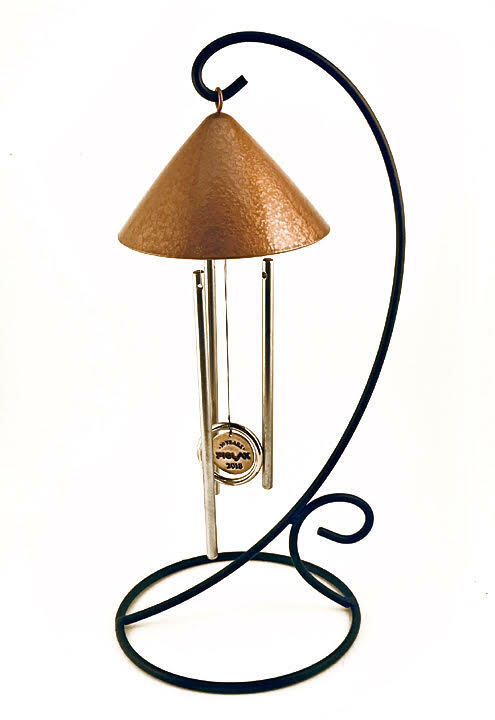 Unlike sidewalk lights or other chimes that advertise as solar, Sunblossom designs contain no internal rechargeable batteries. When nighttime arrives for sleeping, they do not disturb. No light, no chiming. **Limited Warranty** We design and assemble our products with integrity, fine materials, and a compulsive attention to details. We do this to provide many years of satisfaction. There is a limited 90-day Warranty against defective workmanship and materials. Under the limited warranty, our products will be repaired or replaced at the option of the Sunblossom. Original proof of purchase date must be provided. This Warranty excludes imperfections due to normal wear and tear, abuse, failure to use the product as instructed and unauthorized repair or modification. Repairs for such will incur a repair fee and shipping costs.